Windows 10 ISO download for PC. Microsoft released Windows 10 Insider Preview Build 16215 for PC on JUNE 8, 2017. Over millions of people has opportunity to experience and receiving ton of new features that truly perform better, stronger, and faster operating system. Check HERE to know more what’s new, change, fixed and improvement. 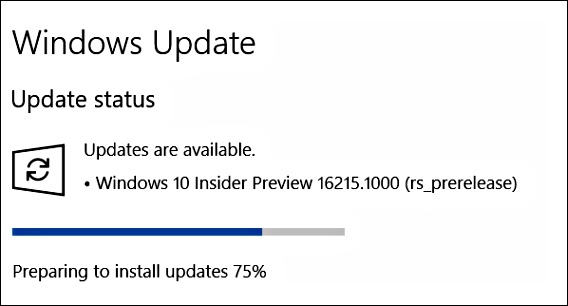 If you computers running with Windows 10 Insider Preview, the Windows 10 Insider Preview Build 16215 should available for download via Windows Update. After at Windows Update section, it will automatically start checking for new update. Or click on “Check for updates” button. Click on “Download now” button to start downloading the new Windows 10 Insider Preview Build 16215. Once finished download the update, computer will automatically reboot to install the new update. Check how to create bootable USB drive to Install Windows and also download ISO files for all other Windows 10 Insider Preview Builds.